The Los Angeles Master Chorale opened their 2016-17 season with staged performances of Orlando di Lassos’s Lagrime di San Pietro (Tears of St. Peter), a Renaissance-era work unknown to most singers and audience members alike, even the most ardent aficionados of choral music. I spoke to Artistic Director Grant Gershon at the time. We discussed the piece, his approach to it, and how and why it became a gargantuan undertaking, one requiring the longest rehearsal schedule in the Master Chorale’s history. Those efforts paid off handsomely, with Lagrime proving to be a revelation. 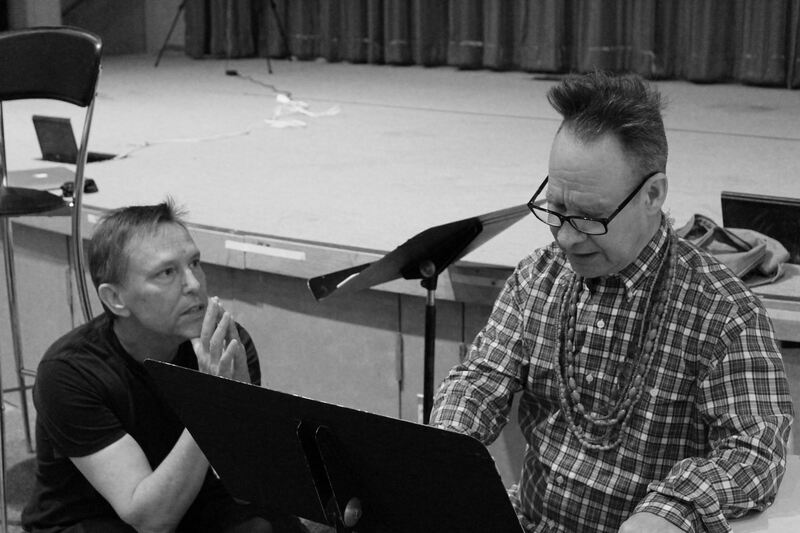 Staged by Peter Sellars for 21 singers (seven parts, with three on a part) performing 21 movements, it traverses the thoughts of St. Peter after denying his relationship to Jesus. 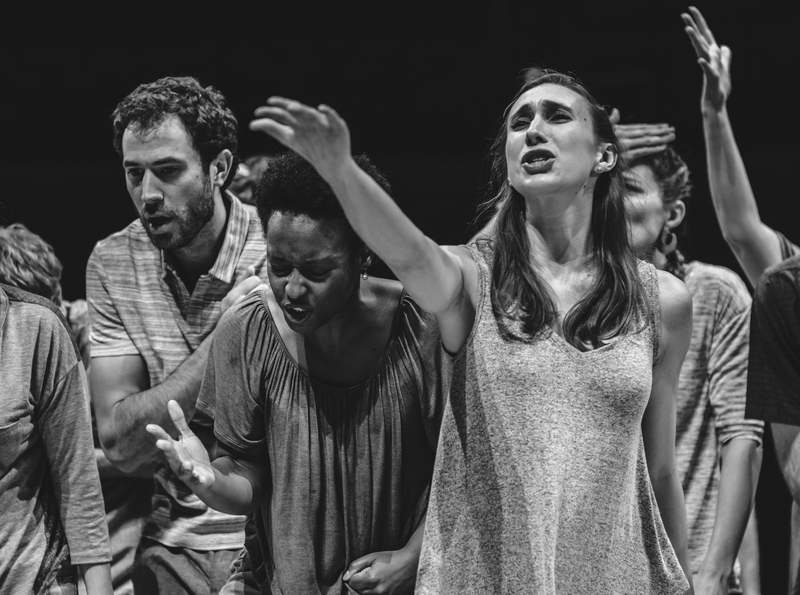 It is a powerful, deeply moving work which Mr. Gershon and the Master Chorale performed with a searing intensity matched with technical ferocity. The small ensemble sang with a remarkable purity of tone throughout the range of timbres and dynamic levels demanded by Mr. Gershon, on top of the physical machinations required by Mr. Sellars and his directions. It was a triumph. This coming weekend, in the midst of this year’s Lenten season, the Master Chorale revisits the work, and again, I spoke to Mr. Gershon about it. Below is much of that conversation. CK Dexter Haven: You first performed Lagrime a year and a half ago. How were your thoughts and approach different this time around? What were the things that surprised you or didn’t surprise you? Grant Gershon: First off, I have to say that it’s great coming back to a piece this complex and demanding with the knowledge that it’s possible. When we did it the first time, we really didn’t know if this was actually going to work. So coming in with that comfort level, trusting each other, trusting the process, and knowing that all the work and the herculean effort that goes into it has such a strong musical and emotional pay off, it’s such a great feeling we didn’t have the first time around. It felt like plunging into the void that first time. I think that in the process, when we initially did the piece, it was a real revelation just to realize how deep and how important Lagrime di San Pietro is just as a testament to everything this great composer, Orlando di Lasso, had achieved in his life. In a sense, it sums up the entire tradition of Renaissance Italian music. We all knew going in that this was a great masterpiece, but I think we’ve now come away thinking that it truly is one of the most profound musical and personal expressions in all of music. It’s mind-blowing to us that the piece is not better known and understood. One of the things that became really evident that surprised us all and that we’re more aware of now that we’re remounting it is how the piece itself evolves over the course of 21 movements. It starts “on topic” as a description of the Apostle Peter, his denial of Jesus, and the regret, remorse, and shame he lives with for the rest of his life. So it starts in that place. But through the course of the piece, it becomes much more personal. For instance, the actual name of Peter disappears after the tenth madrigal. In fact, from the 15th madrigal on, everything in the poetry is written in the first person. It really becomes about the composer, Orlando himself, writing this music in the last weeks of his own life, and the poetry is about looking back on your life as an old man and being aware of when you didn’t measure up, but also describing in the music what it feels like to lose yourself and losing your memory. One of the final madrigals talks about how he can barely remember the miracles of healing the lame, giving sight back to the blind, and raising the dead. Musically, it feels like that as well, and it becomes so tender. It almost sounds like you’re hearing it through a shroud, and there’s a veiled quality to the music that is really unlike any other music I can think of. I think it related closely to the final string quartets of Beethoven, Bach’s Musical Offering or Art of the Fugue, or Schubert’s Winterreise for that matter. It’s an extremely personal testament of an artist who has one foot on each side of the divide between life and death. I can’t imagine that Orlando thought that this music would be performed: you wouldn’t do it in a church service, you wouldn’t do it in a frivolous evening of singing madrigals with friends. It’s tough to imagine the venue in which it would have been performed. There’s really a purity to the intention, and that’s what we tried to bring to the remounting of it. CKDH: Have those insights manifested themselves in you conducting Lagrime differently or asking different things from the singers, or is it a subtle thing that you keep in the back of your head? GG: I think it is a couple of things. All of us are ready to go deeper, to go further in the color, emotions, and contradictions of the work. Of course, when we did it the first time, we learned all of the initial madrigals of the piece without really knowing where the piece was going. Now that we know the complete journey, of course it colors the opening madrigals in a completely different way. There are relationships between phrases in the first 15 minutes that now clearly relate to the later madrigals. So those connections have deepened our experience of the piece, refined it, and allowed us to explore even greater tonal variety and even more extremes of color, temperature, and tempo. In a way, it’s become more spontaneous from simply knowing the material that much more. Think about it, we’re going to be doing this piece a lot over the next year. We’ll be at the Ravinia Festival, then later in the season we’ll be taking it to Mexico City, probably to the Melbourne Festival, and definitely to the Barbican in London, and Paris at the Cité de la Musique. We’re basically embarking on at least three and as many as five or six tours of it over the next year. I can hardly wait to see where the piece is a year from now; I think it’s going to be very different still, very much deeper in a year than it already is even now. CKDH: Given the number of times you’ll be doing Lagrime, in the context of everything you’ve said about its complexity and depth and that you’re exposing European audiences to what is still a relatively unknown masterpiece, this work has the potential to become a defining piece for the Master Chorale. It could become a calling card if you will, the same way that Lauridsen’s O Magnum Mysterium or Lux Aeterna has been, so that when people think of Lagrime di San Pietro, they immediately think of the Los Angeles Master Chorale and visa versa. 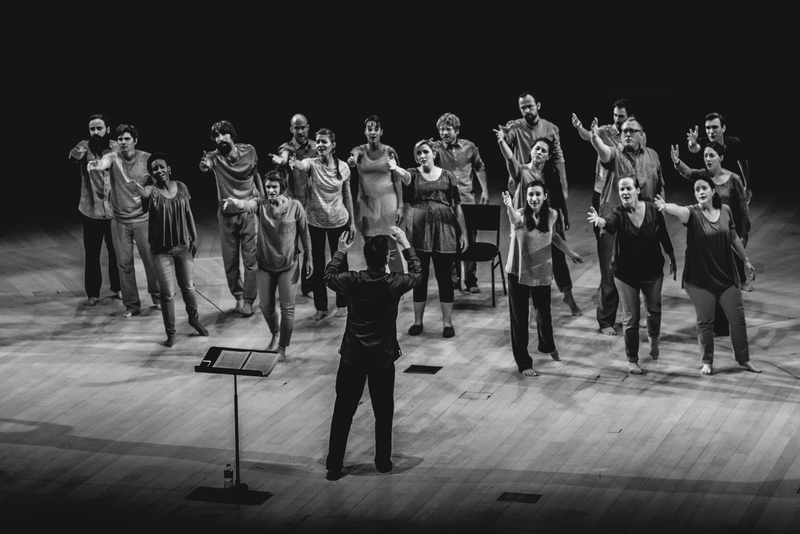 GG: That’s true, and it was one of the fondest hopes for this project when we were cooking it up, that it would become a calling card as you put it, that it would define the level of music making, commitment, and artistry that exists within the Master Chorale. It’s been amazingly gratifying to see the huge response from festivals and presenters from around the world. We’re going to be in three and possibly four continents with it next year, and there’ll be even more in the 2019-20 season as all. People are really excited, and when they get the chance to see the video clips from those first performances in Disney Hall, they’re blown away. It’s really great that we have [those videos] because it’s really hard to describe what the experience of this piece is as an audience. Peter has never staged a work for completely a cappella chorus before, and I don’t know of any piece of this complexity that has allowed the Master Chorale to go this far into an exploration, to really consider every single phrase, every word, and syllable of poetry. The piece itself really rewards that level of exploration in such a strong way. CKDH: The first time you performed it, the preparation was all about exploration and experimentation, especially with regards to Peter’s direction and blocking. It sounds like you’re still doing exploration and experimentation, just at more of a micro level. Is that fair? GG: All of Peter’s staging is trying to get at the essence of the poetry of the music and emotion. The staging is all about unlocking what is already there. What’s different really is again in our understanding of the music and the poetry. It’s not just that it’s deepening. Sometimes, we’ll have blinding revelations that there’s something we totally missed when we prepared the piece before. It happens when you come back to a piece this rich. What I find so interesting about Peter’s staging, and I think Peter would say this himself, it’s not about the actual movement. It’s not about, “Oh, put your hand here on this word, and take a step on this phrase.” All of it is based on an intensive study of the poetry. We’ve had multiple rehearsals with Peter that have been incredibly rewarding. We’ll sing each madrigal and we’ll talk about each phrase and what it’s really about, both the words of the poetry and the subtext. Sometimes that’s clear, sometimes that’s elusive. We’ll experiment with different ways to approach it musically and in the phrasing. And that experimentation informs the staging, not the other way around. The great thing about music of this era is that there are no tempo markings and no dynamics. You’re invited by the composer to find your own way through the music. You take clues that he’s given you, but beyond that, there is so much room for imagination and for discovery. I find that seriously rewarding. There’s no right way to perform this music. That’s quite liberating. It has nothing to do with the staging per se, but the staging tries to unlock and maximize it all. That’s why I think Peter is such a genius, especially working with him on chamber music like this. I think we find ourselves fantastically lucky to be doing this together with him. CKDH: Last time, one of the big parts of the story was the enormity of preparation and the huge number of rehearsals you had to do. How is it this time? GG: [Laughs] Yup, that’s another great thing about the second time around. Out of the 21 singers, 15 have performed it with us the last time, and another one of the singers was covering. So there are only four out of the 21 who are experiencing it for the first time. The other advantage that we have this time besides the fact that we’ve done it before and I’m not trying to go from zero to 60 is that we have archival video of the first time, both of the performances and some of the rehearsals. We’ve been utilizing that in preparations which has been very useful. CKDH: Are you guys going to record it? GG: Yes, we’re definitely going to record it, next year at some point. We’re going to make a video documentary as well. You know, given that we’re doing it a lot, we just want to live with it that much more because we know it’s going to get better and better, as I said. CKDH: Looking forward to those recordings. GG: Thanks, and thanks for taking the time to chat! Tags: Grant Gershon, Lagrime di San Pietro, Orlando di Lasso. Bookmark the permalink.